Wow, do we have a Gorgeous Box for you this month! This issue we feature a jam-packed recurring Monthly Subscription Box from The City Witches. Their boxes, called Magick Mail, can be bought one at a time & in 3-month, or 6-month subscriptions. Their prices range from $20 for an individual box to $120 for a subscription. The City Witches offer a new theme each month to their fully packed boxes! This month’s box … Magickal Workings for the Moons of the Month. When you open your box you are greeted with 3 pages for your BOS. The first page describes the Moon Phases for Magickal Workings. Helpful addition to any Spellsbook. The second page teaches, briefly, how to create your own moon spells. The information suggested on this sheet are helpful and handy to have. The third sheet is a Full Moon Chant. Next thing that catches my eye from my City Witches Box is a Purple Bag full of goodies! The first thing I pull from the goody bag is a Star Shaped Wooden Incense Burner & it is adorable. I love how it can hold an incense cone and many sticks. This will be perfect in my next moonspell. Next we have Amber Sugar Scrub Cubes. Opening the jar I find they are in the shapes of roses. Delightful! Just like their smell. I use them on my hands and the feeling I am left with when I dry off is a lovely softness. The black little bag is Moon in Sagittarius Bath Salts. The smell is heavenly and I can not wait for the time to be right for it’s use. There is enough for a good soak or even two! The little blue bag is a Mixture of Salts & Herbs to be burned or used in a bath. Unfortunately, I am not sure of it’s exact contents. I can smell lavender & see the salts. A vial of Virgo Moon Oil is included in the bag of goodies. The bottle is a little tight a difficult to open. However, there seems to be a slight glitter to the oil! Glitter is always good to this Gal! We get a small Vial of Black Salt. Good to add to the stash of supplies and to work moonmagick with! A Chunk of Charcoal is included for the Bottle of Full Moon Powder Incense. It comes out as a tuft, like a cloud from the jar. The smell is light, a slight heed to it’s sweetness. I think, up-to-date, this has been my favorite homemade incense so far. I just wish I knew what was in it. Last, a few pieces of Sage to keep handy. Never know when you’ll need a quick cleanse. Convenient! It’s like a traveling MoonMagick Bag! Another 7” tall white, this time, Blessed Candle “Drawing Down the Moon” for the Full Moon by Coventry Creations, Inc. The candle reads it is for Magic, Imagination, & Mystery. This candle explains and teaches about the Full Moon. These look very exciting to use. This lovely glass bowl can fit in your hand. It is crystal clear. No blemishes. Beautiful for any altar. I am guessing it is included, being this is a moon box, for maybe moon cleansing. You can clean stones, tools, anything during these meaningful moon moments with your new Altar Bowl. In two purple gauze bags you will find 3 large, polished gemstones. The stones are, from left to right; Fluorite, Malachite & Amazonite. The colors are vivid, and the patterns on the stones are sensational. The sizes they sent are generous. This HUGE, solid, speckled moonstone point is amazing to view and to hold. You can feel the peaceful energy this sizeable piece of stone is bringing. It is a wonderful addition to anyone’s gemstone collection. Included in this recurring Monthly Subscription Box is a large box of HEM “The Moon” scented incense sticks. There are 20 sticks in this box. I’m impressed with the size they have included. Usually I see the smaller size, 5-10 sticks, enclosed in boxes. They are HEM so they are of good quality. Crafted with Magic! Witch’s Brew Original…by Coventry Creations. Myrrh & Mugwort blend for a scent out of this world. The label reads “Ignite your Magic,” and you can smell the power. This is no cut-price blended oil, but an item made with skill. My next find in this amazing box is another little black box. It’s exciting to find jewelry inside. Not one piece, but two. Two gorgeous necklaces. A Black Druzzy & a Moonstone Point. Each has been placed on cording and ribbon for a lovely effect. On my path I have not worked with any druzzy stones, so I am not sure what their uses are. This is, however, a gorgeous piece, and I will be sure to look into what it’s uses are. The moonstone I do know. This eye-catching, point, suspended in copper is simply luxe. An elegant way to keep the energy of moonstone with you everyday. They have included two new pieces of ritual jewelry for moon working. One more little black box contains a collection of Gemstone Surprises! Hiding in this box we receive another piece of jewelry, a lovely mixed gemstone, beaded bracelet. The beads are of medium size and the bracelet itself is 9 inches and is one size fits all, on stretch cording. Next up in the box we find two cute moonstones. Perfect for pocket carrying. Lastly, but not least we have a small selenite wand. Palm size. Shiney. I like the size for travel and easy quick use. We are getting to the bottom of the box and two things remain…One being a book for our personal libraries on the boxes theme, the moon. Moon Spell Magic: Invocations, Incantations & Lunar Lore for a Happy Life by Cerridwen Greenleaf. The book teaches the lunar calendar and gives spells for every phase, demonstrates how to set up your own lunar altar, informs you about celestial Gods & Goddesses, and includes a plethora of spells & rituals you can perform on your own. Stay Focused Because You Totally Got This. We do! Inspiring words outside, and on the heart bedecked inside, it says more…”I look forward to holding any thoughts, dreams, goals, *brilliant ideas, and AMAZING moments…” This box is sure to bring those, and this journal is now ours to record them. All the spells, rituals and things we learn on our way, about the Moon and all it contains. I think it is a lovely book to use as a Moon BOS. For the first time I am noticing a trend in the packaging everything comes in. There are bits of sage in them. What a beautiful way to cleanse, purify, & bless all you send. Every single gauze bag, small black box, and even the big box everything comes in itself has sage in it! I am very touched. Now I want to mention the price. This box is bursting at the seams and I cannot believe how little they charge. Could they really be making money here? I thoroughly loved this box for celebrating the moon. I feel all the contents went with the flow of the Moon Magick theme. I really found it gratifying how the company did not send you just tools and stash to help you celebrate, like candles & incense, or stones and jewelry to harness the moons power. Instead, they went the whole gambit, and by this I mean they sent you a method to really fully learn about the moon. They send you a book & a journal and tell you learn! They rally you to GO FOR IT! Now I have not reviewed the book. I do not know how good it is, but it is a starting point. The 3 BOS pages that are sent are a great starting point, as well…this box doesn’t just give you items, it encourages you! Who is behind the inspiring Magick Mail Boxes from The City Witches? PaganPagesOrg: How did the idea for a Monthly Subscription Box come to you? Jade Perri & Selene Serket: The idea of the Monthly Magic Box, came to us, after subscribing to many ourselves and being unhappy with the contents. To us, getting a box monthly, themed for aiding us in our practice was very exciting. Many people do not have access to a metaphysical store near them, or they do not have the time to go shopping, or they do not know what to buy. It seemed to us, that if you could subscribe to a “magick” box each month, it would automatically come to you, and would contain items you could use to practice-not just a box full of random items. Our box contains relevant items to be used together or separately, all based on a certain theme. It is a nice way to also build up your stock, so you have everything you need, if you chose to use at a later date. PaganPagesOrg: How did you begin your Boxes? Jade Perri & Selene Serket: We began with a what we thought was a universal and important part of our craft. The Moon Magick Box. The Moon can represent New Beginnings, so we thought that would be perfect as our first box to introduce. PaganPagesOrg: How do you choose each Box’s contents? Jade Perri & Selene Serket: We choose what is in our Monthly Magick, based on the theme of the month. Each box contains approximately 10 items, that are all relevant to the theme. Normally each box’s base contains a ritual, a crystal, herbs or essential oil, items for your home or altar, as well as jewelry, a journal, and candles. Additional items will vary based on the theme of that month. PaganPagesOrg: How do your Box Subscriptions work? Jade Perri & Selene Serket: Our box can be purchased monthly, or as a subscription. It is more cost effective to purchase as a subscription box, for example, if you sign up for a 3-month subscription, you pay $75 ($25/per box) instead of $90. If you sign up for a 6-month subscription you pay $120 ($20/per box) versus $180. Boxes can be purchased for $30 individually. PaganPagesOrg: Who are The City Withes? Jade Perri & Selene Serket: The City Witches was created by two of us. Selene Serket and Jade Perri. Selene is a a practicing eclectic High Priestess, who has been practicing for over 30 years. She is an experienced teacher and specializes in numerology, astrology readings, ritual magick, custom spells, and Sabbat rituals. She also has an extensive knowledge of all craft-related topics including Reiki and Chakras. In addition, she offers classes and certifications on many different topics such as A Year and a Day (Year 1-3), Chakra 101, and Crystal Magick. Selene is certified in Wicca High Priestess, Reiki Master and holds various Tarot, Crystal, Herbology and Astrology certifications. Jade is an eclectic Witch has been practicing for more than 10 years and offers guidance on an array of topics. She specializes in divination from tarot cards, oracle cards, runes, and pendulums, as well as scrying and automatic writing. Jade also practices animal magick, dragon magick, and poppet magick. She is also an enthusiastic teacher and offers classes and certification in many different areas such as tarot classes and dragon magick. Jade Perri & Selene Serket: Jade is married with two children and is the manager of her local animal shelter. She enjoys spending time with her family and advocating for homeless animals. Selene lives with her furry family of 5 Himalayan Cats, she enjoys reading, spending time gardening, continuing her Wiccan Education through classes, and spending time with her friends. PaganPagesOrg: What did you feel the Pagan community was missing to make you put your Box out? Jade Perri & Selene Serket: We felt that with the options people have out there for monthly boxes, we wanted to design a box that was useful , fun, and educational. We wanted to really give our clients the best quality box for an affordable price. We also are lucky enough to work with other small businesses, such as Enchanted Reeveries, who provides items handmade from polymer clay, as well as Valessence Skin Care, who provide handmade bath products. We also include our own brand of handmade candles and essential oils. We do not use printed boxes, or spend extra money on packaging, however, our boxes are stocked with everything they need for the month. What we save on packaging, we give back to our clients-each and every box contains additional free surprise gifts as a Thank You, to our customers. The other option we offer, is that we do not pull our boxes once the month is up. They are available to our customers at any time. This is very helpful to customers, if they are unable to purchase during the month, they will not miss out-and can purchase anytime throughout the year. Thank you Jade Perri & Selene Serket for this great interview. Your Magick Mail Subscription Boxes definitely live up to what you desired them to be and that is to all our benefit. For the Direct Link to Magick Mail Subscription Choices & Back Log of Boxes Click HERE. To Visit The City Witches Shop Online Click HERE. You Can Like & Follow The City Witches on Facebook by Clicking HERE. They are, also, on Instagram as thecitywitches. Jennifer Sacasa-Wright is simply a Witch. She runs PaganPagesOrg eMagazine. She loves hearing your opinions & thoughts on the eMagazine and welcomes comments. You can email her at jenniferwright at paganpages dot org. When she is not working on PaganPagesOrg she is creating in some other way & trying to make the world a better place with her family. I can’t remember when I became interested in Lenormand cards. In the past thirty years, I have mainly focused on Tarot cards but my search for original and artistic decks lead me to many different kinds of cards – Oracle cards, vintage playing cards, and of course, Lenormand cards. I was immediately attracted to Lenormand cards because of what I saw as the combination of playing card imagery with pictorial symbolism. At the time, I thought that it was the marriage of playing cards and the Tarot. But that’s not what the Lenormand is. They have absolutely nothing to do with the Tarot, other than being a pictorial divinatory system set upon a deck of cards. 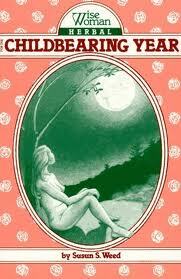 And not all Lenormand cards have playing cards imagery on them! My very first deck of Lenormand cards – which I received quite recently – is totally devoid of playing card imagery and I have to admit that I was rather disappointed when I initially saw them. The cards I have are based on a very old set of cards from Germany – indeed, the book that accompanies the deck is written by a German named Harold Jösten, who has written other books about the Lenormand and the Tarot. As you will see, there are some minor changes between the two decks but they are quite similar. And even though they aren’t what I wanted, they are really good for a beginner – which I most certainly am. When I received this deck, I had already been reading The Complete Lenormand Oracle Handbook: Reading the Language and Symbols of the Cards by Caitlín Matthews. This is a fabulous book – really a workbook, complete with exercises and tests – and I am about halfway through it at this point. But I have to say, if you don’t have a Lenormand deck with the playing card images on them – Matthews calls them “pips” – then you are really at a loss when you are using this book. Not that you can’t use it and learn a great deal. It’s a massive book – one that needs to be studied carefully and thoroughly and read more than once. I can definitely say that, not even having read the entire book! The book that came with my deck is Lenormand Fortune-Telling Cards: The Legendary 18th-Century Oracle by Harold Jösten and translated by Edana Kleinhans. Inside the cover, there’s another title page which reads: The divination Cards of Mademoiselle Marie Anne Lenormand: A New Guide to Love, Happiness and Success, which makes me wonder if this was the title of the book as originally published in Germany. It’s a slender book but it’s a good little handbook to have on hand. Each card has a series of keywords to help you remember the concepts connected to the card, as well as pairings with other cards to create other concepts – such as, 16 The Star + 34 Fish = financial security or 23 Mice + 34 Fish = loss of money. There are spreads in the back, for practice for using the cards – and of course daily practice is the key to learning any new discipline – divinatory or otherwise! Here we have 1 The Rider, which is the bringing of news. Depending on the cards surrounding The Rider, it could be good news or bad news or financial news – it all depends on the other cards. But check out how the cards are just about the same. The verse has minor changes and the emblem on the right has been changed into another number 1. But other than that, they are virtually the same. Here is 2 Clover, meaning luck and happiness. And 13 Child, which is innocence and happiness. I know enough German to tell that the verses are not the same on the cards, even with the difficulty of reading the old German script. And I am really curious about the Star Of David on the old German cards. In researching the old German cards – because I became very curious about them – I found out that there were differences between reading German Lenormand cards and French Lenormand cards. According to the blog “Jase on Cards”, there are two schools of Lenormand – the German Traditional and the French Modern.1 I am not sure where he came up with this but from other sources, it appears that the Lenormand decks first appeared in Germany and then traveled to France. In fact, Madame Lenormand didn’t even use the deck that we now call “Lenormand”! She used a regular set of playing cards! According to Mary K. Greer, it wasn’t until after her death that the cards bearing her name started circulating around Europe. It was a marketing devise to popularize the cards and the form of divination2. Quite naturally, there were more than one set of Lenormand deck being produced, which is why some had pictures of playing cards on them as well as the basic images. Like the Tarot, the Lenormand reflected the culture in which it was planted. And also like the Tarot, the Lenormand adapted itself quite easily to new imagery and ideas. There are dozens of new Lenormand decks being produced today. While there are thousands of Tarot decks and hundreds of Oracle decks, the creation of new Lenormand cards is way behind. But there are some really fine decks out there. I particularly like The Chelsea Lenormand. It has an Deco look to it that’s really appealing. I would love to own this deck. Another deck that’s really cool is Pixie’s Astounding Lenormand. It borrows from The Rider-Waite Tarot Deck in imagery and use of color. This is another one I would really love to have! Note that Pixie’s Astounding Lenormand has the playing card status next to the name of the card. This deck is called Story in Color Lenormand. I’m not sure how you read with these. But they’re very beautiful. Again, the playing card status is next to the name of the card. So you have the information you need, even if you don’t have an obvious image. When I researching Lenormand cards, I found so many beautiful cards that I couldn’t even begin to show all the images here. Some that work with the traditional images – some that are very artistic and cutting-edge, like the Story in Color deck, and some that are collage work – just pictures pasted onto traditional playing cards. I’ll probably make myself a collage set using a desk of poker cards. Notice how that’s almost exactly like the cards I have now – and the old German cards with the verse written in the old German script – but there’s the playing card motive where the verse is. To make things worse, these cards are called “German Lenormand” as well! Honestly, it’s all quite confusing! I am sure that I will be designing and creating my own Lenormand deck, as soon as I get more acquainted with using the one I have now. I know for a fact I’ll be putting playing card imagery on mine – the way I see it, if you don’t have the pips, you only have part of the information you’re supposed to have. But since I’m only a beginner – a mere novice – I do admit that – still only learning the basic grammar of the Lenormand – I will be as patient as I can possibly be! And practice with the deck of cards that I have. Jösten, Harold. Lenormand Fortune-Telling Cards: The Legendary 18th-Century Oracle. NY: Sterling Ethos, 2014. When I moved into my new place this summer, I decided to reread all my spiritual books, starting with The Spiral Dance: A Rebirth of the Ancient Religion of the Great Goddess by Starhawk, which I read for the first time exactly thirty years ago. I cannot stress how much this book changed my life. A good friend loaned me her copy and I literally copied it almost word for word by hand and then later typed up my handwritten notes. This was the basis of my original Book of Shadows. Written basically as a manual for group instruction, I used The Spiral Dance to teach myself how to be a witch. I rewrote the rituals for a solitary and I practiced the exercises until I could do them at will – visualizing an apple, throwing a stone into a stormy sea, tying a knot – anywhere, anytime. After I gave the book back to my friend, I took books out from the library and read everything I could about the history of modern witchcraft, Wicca, neopaganism, and women’s spirituality. As a feminist, I was most attracted to goddesses and the religious veneration of women and the feminine form. I eventually bought my own copy in July, 1990 – the tenth anniversary edition, published in 1989. A third edition, celebrating the twentieth year of its publication, was published in 1999, and is available (of course) on Amazon. One of the things I noticed this time around is that Starhawk doesn’t always say why this is this or that. For example, during the Samhain ritual, which is quite involved, using blindfolds and apples – the fruit of death – and some kind of “ship”, which is supposed to sailing on a “sunless sea” – after which all the coveners take off their blindfolds and gaze into a crystal and scry. Starhawk writes, “This is the best night for scrying in the year.” (The Spiral Dance, 195) But why? Why is this? According to Amanda Linette Meder, the veil between the physical world and the spirit world is thinnest between October 8th and November 11th of any given year, so it just stands to reason that October 31st through November 2nd would be the most powerful days within that time frame. This is why this is the best night “for scrying” in the entire year. However, Barbara G. Walker asserts that pagans believed that all the junctures between the seasons opened cracks that allowed contact between “the ghostworld and the mortal one” (The Women’s Encyclopedia of Myths and Secrets, 372). Four times a year this happens – at Samhain, at Yule, at Beltane, and at Litha. So using that logic, all the cross points of the Wheel of the Year are times when the veil is going to be thin and you can ask the spirits of your loved ones to help you in your divinatory endeavors. With this in mind, I cast a circle early this morning and sat in silent meditation. I thought about my grandmothers and my grandfather MacDavid, who was always so supportive of my writing. And I thought about my novel, which I have been working on diligently for this past year. I created a blog for it on WordPress and accumulated a bunch of followers. I had originally thought of the novel-in-a-blog like the serial novels of Dickens and Dumas. But in the past few months, I have been unable to write. I haven’t written much of anything other than my personal diary and nothing on the novel at all. The other day, I changed its status on WordPress so that nobody could read it anymore – if I do continue with it, it will be after a major overhaul of the entire thing. These were my thoughts as I sat in meditation. A red candle smelling of cinnamon burned on the table next to me. My black cat Bobby sat nearby. The fan whirred in the window. I have numerous divinatory ways of answering my psychic questions but I admit cards are my favorite – tarot, oracle or even just playing cards. Today I used the Motherpeace Tarot Cards. I haven’t used them in a very long time. For some reason, they called to me this morning. The Motherpeace Tarot, created by Vicki Noble and Karen Vogle, was my third deck in what would become an ever-growing collection of tarot and oracle cards. First I got the Rider-Waite deck in 1988, then the Secret Dakini Oracle Cards as a Yule gift in 1990. The Motherpeace Tarot was a Yule gift to myself in 1994 and the book, Motherpeace: A Way to the Goddess through Myth, and Tarot by Vicki Noble, was a New Year’s gift in 1995. I bought the Motherpeace Tarot Guidebook by Karen Vogle in September, 1996. Although Noble’s book was more comprehensive and thorough, Vogel’s book was easier to use in a practical way. I thought it was interesting that they both created such a beautiful tarot deck together and then published such radically different books about that same deck. I shuffled the cards and cut them three times for the Maiden, the Mother, and the Crone. I left the cut in three piles. Then I turned over the top card from each pile. Third Card – Son of Wands – the dancing fool – just do it, stop thinking about it. SO – if I want to finish the novel and be happy, the surrender to the wheel and just do it – dance with the son of wands – stop thinking about what to do with the novel and just write the damn thing. I put the cards back into their cloth and thanked my spirit guides. After opening the circle, I decided I would add the two Motherpeace books to my reading list. It’s going to be a long winter, after all. Blessed Samhain! Brightest Blessings to all! Starhawk. The Spiral Dance: A Rebirth of the Ancient Religion of the Great Goddess. San Fransisco: Harper & Row, Publishers. 1989. Karen Vogel. Motherpeace Tarot Guidebook. Stamford, CT: US Games Systems, Inc., 1995. Barbara G. Walker. The Women’s Encyclopedia of Myths and Secrets. San Fransisco: Harper & Row, 1983. I believe it was Scott Cunningham that encouraged new witches to read everything they can get their hands on when first exploring the Craft. I agree with this wholeheartedly! There is a multitude of ‘Wicca 101’ books on the market, and it can seem daunting to sift through them and choose which ones to read. Every Wiccan author has their own style and point of view, so it’s a good exercise to read a variety of books in order to discover what works for you. Keep in mind that not everybody agrees with what makes a good book! Below is a list of some Wiccan and Pagan books that I have read, I am planning to read, or have been recommended by others. It is by no means an inclusive list, but it might be a helpful reference for those just starting out on their path. Happy reading! This was one of the first books I read on Wicca, and it is still one of my favourites. Cunningham’s friendly style is easy to read, and the topics are basic enough for a beginner to grasp. 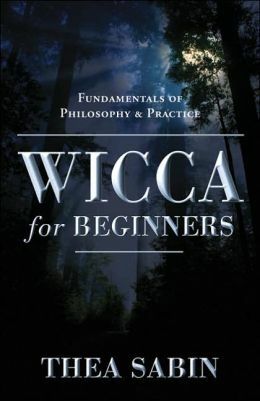 Some people criticize Cunningham as being ‘too fluffy’ and overlooking the darker aspects of the Craft, but I think it’s still one of the best Wicca 101 books out there. 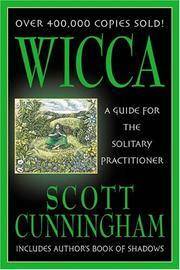 I also recommend the companion book, Living Wicca: A Further Guide for the Solitary Practitioner. 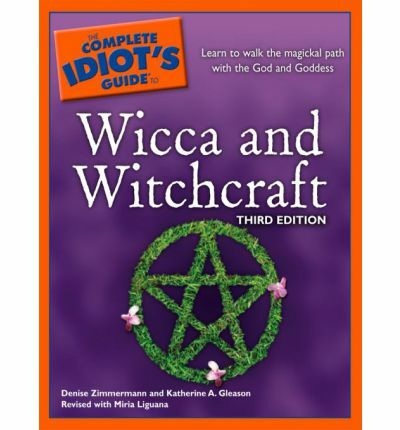 This has to be one of my favourite Wicca 101 books. I find her friendly writing style easy to read and enjoyable. 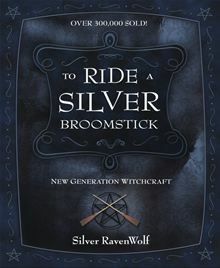 Written in 2006, it contains a modern view of the history of the Craft, acknowledging Wicca as both a ‘new’ and ‘old’ religion. It includes some very useful lessons right up front – Grounding, Centering, Visualization, and Meditation – complete with instructions and exercises. I was skeptical when I picked up this book, but I’m glad I did because it is packed full of useful information. Following the concept of the other ‘Idiots’ and ‘Dummies’ books, this guide is well laid out with concise chapters with notes, summaries, and definitions. It will take you a long time to go through it all, but I feel its well worth it in the end. 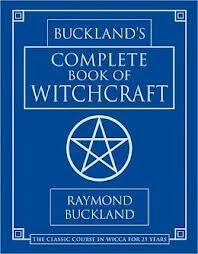 Buckland’s ‘big blue book’ contains a lot of useful information for the beginner Wiccan. The workbook is organized in a series of lessons with review questions at the end of each. Although most of what he writes is geared towards coven work, there is a chapter at the end for the solitary practitioner. Many positive reviews have been made about Amber K’s ‘little green book’, and although I’m not quite finished it yet, it is quite enjoyable. It contains information about the history of magic, magic and science, rituals and spellcraft, as well as exercises and recommended reading after each chapter. Love her or hate her, Silver RavenWolf is here to stay. Very popular with the teen set, her books are filled with information, however sometimes you have to sift through her varied opinions on things to get to the facts. 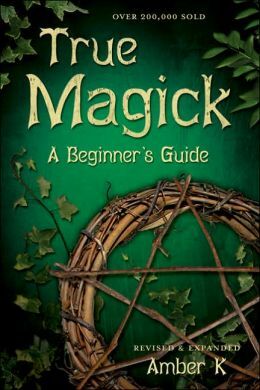 This is the first book in a series of beginner Wicca books, followed by To Stir A Magick Cauldron and To Light A Sacred Flame. 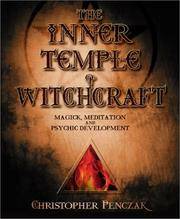 This is the first in the Temple series of books Christopher Penczak, a pupil of Laurie Cabot, which also includes The Outer Temple of Witchcraft, The Living Temple of Witchcraft, and The Temple of Shamanic Witchcraft. This book discusses the basics of Witchcraft, as well as magic, meditation, and energy work, complete with exercises and review questions. First published in 1979, this book was one of the first glimpses of Neopaganism in America. 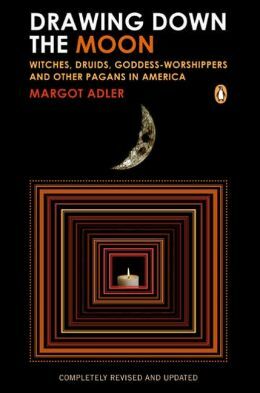 Adler provides an interesting viewpoint on the history and formation of Neopaganism. I came to paganism, like many of us, by way of books. They intrigued me, and once I got my nose into them, one led to another, which led to another. Many of these books were written by brave, public pagan figures who had recorded their knowledge so that I, an inheritor of that knowledge, could follow their bread crumb trail on a journey of my own. Not knowing much about Wiccans or pagans, I assumed the things I read must be true. This was a stumbling block for me, as doubts like the ones I’d experienced in my conservative Christian days began to eat at me. 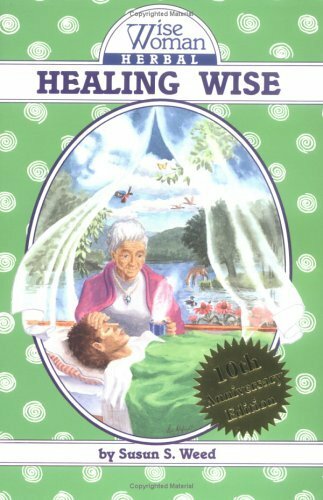 I don’t know if I can be Wiccan, I thought, because I don’t know how I feel about this thing that this book says you have to believe to be Wiccan. Time passed, and my interest in paganism fluctuated, with more books coming and going. More books meant more opinions, and I began to sneak a glimpse into the true plurality of paganism. I ventured out to a local pagan pride event, not yet sure if I was pagan or proud, and talked to real pagans. But I had no idea of the magnitude of the pagan community until my discovery of the pagan blogosphere. I found that pagan bloggers discussed issues, both theological and societal, and in the process, constantly bounced ideas back and forth, referring to one another’s posts. Did you see this post of Harry’s? I totally agree with Harry, and here’s why! Or, rather, Did you see that poppycock dribble Harry posted the other day? That Harry is batshit insane! (Maybe without so much name-calling, but it adds color, I think.) When an issue came up in the pagan blogosphere, it whirled through a multitude of blogs, being critiqued up, down, and back again, with everyone seeming to throw in their two cents. Some of the bloggers I read seemed to be important, respected people in the pagan community. Credentialed pagans. You know, the “I’ve been a contributing member of the pagan community for 35 years, and have 4 published books and three third degree titles to prove it” pagans. Those things are great and all, but I was most definitely not credentialed. I wasn’t even experienced. Hell, I ‘d just decided I was pagan! But the armchair theologian in me wanted to get involved, and so I did. As I spent more time in this community of sorts, reading and beginning to find my voice, I realized what a great plurality of beliefs and practices are present within paganism. More importantly, I learned that there was a lot of disagreement. This was amazingly freeing. If all these people disagreed with each other, then I could disagree with them, too, and still be pagan. Paganism has been called a “big tent” by some, meaning that it encompasses a broad variety of paths and contains a diversity of ways of seeing and doing things. The size of that umbrella is what made room for me. In paganism, I have found a freedom I never knew before: a freedom that allows me to grow and change without fear of growing out of my religion. I can lie on the soft earth with the wind ruffling my hair and look up at the trees, knowing that however my perceptions shift and change, the earth and the wind and the trees will still be here. This peace and spark of life will still be here. Paganism will still be here. And I will still be pagan. Author: Susun S. Weed. 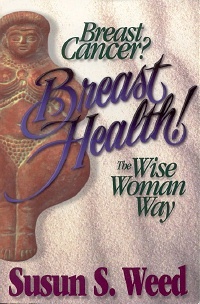 Foods, exercises, and attitudes to keep your breasts healthy. Supportive complimentary medicines to ease side-effects of surgery, radiation, chemotherapy, or tamoxifen. 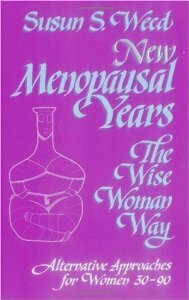 Foreword by Christiane Northrup, M.D. 380 pages, index, illustrations.